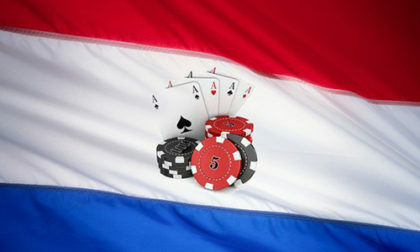 The Netherlands is back on track with plans announced last week to formally legalize and regulate online gambling in a manner similar to many of its Western European neighbors. Framed in the context of consumer protections, today’s announcement by the Dutch Ministry of Justice and Security signals support for still-being-legislated modernizations to the Netherlands’ Remote Gambling Act, and also paves the way for privatization of the state-owned casino and lottery entity Holland Casino. 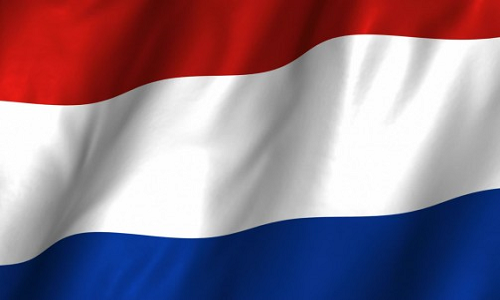 The greenlighting of the latest Dutch plans regarding online gambling was announced by Sander Dekker the Minister for Legal Protection, second in command in the Justice and Security ministry and the man in charge of consumer-related matters. According to an official post offered by the Ministry of Justice and Security, “The government is taking extra measures to prevent gambling addiction and permit licensees to fulfill their obligations. Minister Dekker writes this today to the House of Representatives. The government wants to separate games and games of chance more closely, in order to reduce the risk of gambling addiction among (especially) young people. Many Dutch people play (online) games of chance. Many of them (several hundred thousand) have done so for years without protection. The government has therefore been working for a long time on regulating (online) games of chance by means of the bill on remote games of chance. This bill already provides for a solid package of measures that supervises addiction prevention. This package has been developed on the basis of scientific research and best practices from home and abroad. New insights and developments have led to the introduction of a number of new measures to effectively combat gambling addiction, in addition to the measures that result from the bill on remote games of chance. In recent years, the boundary between games and online gambling has become increasingly blurred. The risk increases that especially young people are encouraged to participate. To counter this, the government wants to separate the range of games and games of chance more strictly. Recruitment and advertising activities for games of chance through games are further limited. New games of chance must not have a suction effect on vulnerable groups. That is why gambling products must be subjected to a risk analysis for addiction before they enter the market. This also looks at the recruitment and advertising activities around these products. An important measure is that permit holders without an establishment in the EU / EEA can now only obtain a permit if they have a secondary establishment in the Netherlands. In addition, providers who are already established in another EU / EEA country must appoint a representative in the field of addiction prevention. The presence of permit holders in the Netherlands is of great importance to the cabinet to further reduce the risk of gambling addiction. Large distance between permit holders and the Dutch health care system makes effective cooperation difficult. This cooperation is crucial to protect players effectively and preventively – directly within the game range. The proposed regulatory enhancements are far more moderate than those proposed several years ago, including a plan to completely firewall the country and make Holland Casino the only legal online operator, in a plan parallel to Sweden and its Svenska Spel entity. Nor has Dekker and his ministry proposed firewalling the Netherlands in a manner similar to that done in France, Spain, Portugal, Italy, and (soon) Switzerland, in which operators must create independent entities within each country. That balkinization has been a severe blow to European and global online-poker liquidity. Now that the elaboration of the coalition agreement has taken place, the legislative process can be resumed vigorously. This is badly needed because players now do not receive any protection if they use illegal providers of gambling websites. The proposed legislation will change this by granting permits under strict conditions and by regulating online games of chance. The games of chance authority will also be given new tasks, such as the licensing of online gambling providers and the supervision thereof. These tasks contribute to effective and effective supervision. The bill for the modernization of the gaming casino regime makes it possible to sell Holland Casino and open up the market in a controlled manner. For example, the government can express the fact that gambling is no longer a government task.